Though driving down the upfront costs of solar photovoltaic (PV) systems through the purchase of lowest cost components may seem like an obvious way to maximize the financial return of a solar project, consider focusing on the long-term return of the project rather than looking only at a short-term payback period. The results can be quite surprising. Despite surface appearances, all solar modules are not identical—they aren’t even manufactured with the same materials or in the same fashion. Ultimately, these differences in manufacturing and materials can lead to significant variances in the amount of energy generated over the expected lifetime of a PV system. The market is full of low-cost solar modules, but the lower upfront cost may be offset by lower long-term returns, and a higher risk for system underperformance or even failure. In the end, a higher quality module can minimize the risks of the project and maximize the energy generation and associated financial return. So, what specific features should one look for when choosing a solar module that can provide a higher return on investment? First, look at the nameplate power rating, a rough proxy for expected power output, and the associated power tolerance. The average crystalline silicon (c-SI) solar module has a power tolerance of +/-3%, indicating that the actual power rating received could be significantly less than the nameplate rating. Additionally, a wider power tolerance can lead to higher module mismatch losses and lower overall system output for a given nameplate rating. Some manufacturers sell modules with only positive nameplate power tolerance, which provides higher system output for a specific nameplate rating. Higher output modules create more power, which ultimately generate more revenue. This can increase the module value per watt by up to 14 cents over the life of the system. Over a 25-year period, this equals a significant gain over a module with negative tolerances. Another key metric is the module’s PTC (PVusa Test Conditions) rating. This rating indicates the measured power-output of modules under more realistic environmental conditions. When factored into the 25-year life of a PV module, a higher PTC rating can increase the initial value of a module by up to four cents per watt. PTC ratings are also used in many states to determine the amount of cash rebates. Choosing a module with a higher PTC rating can generate a higher return because of the higher rebates associated with higher PTC ratings, and the potential for higher power generation over the module lifetime. Manufacturers of higher quality modules are more confident in their modules and, therefore, may back their modules with a stronger warranty. The average PV module manufacturer guarantees their product will degrade in output no more than 10% in the first 10 years, and no more than 20% in years 11 through 25. However, there are modules available that warrant less than three percent degradation in the first year, and less than half of that annually thereafter. This type of warranty structure can offer more power throughout the life of a PV system, making the “right” modules worth the search—particularly, from a ROI standpoint. A more reliable and durable module also reduces the risk of problems with the system and lowers the amount of maintenance required. At the same time, don’t forget the old adage: “buyer beware.” Consideration should be made in terms of the history and stability of the company underwriting a performance guarantee. Some PV manufacturers have been in the market for a few years, providing minimal data to measure their products’ long-term reliability. 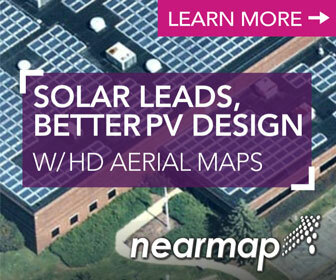 However, there are several PV manufacturers who have a proven long-term track record. 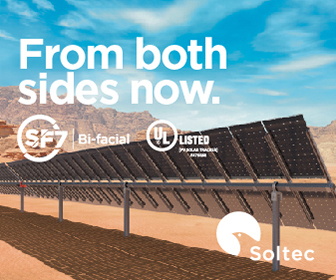 It’s easy to fall into the trap of choosing the lowest upfront cost solution presented when it comes to selecting PV components. But, with diligence and understanding of the values each component represents, system owners and operators can quantify the value that each unique manufacturer provides. The financial community understands that investing in a PV system can provide a good return. In many states, these systems can generate strong IRRs and will have a positive cash flow in less than five years. Bear in mind, there are significant differences in the reliability, quality, and quantifiable return of different PV modules. It’s worth the time and effort to do a thorough due diligence exercise on PV system components being considered for a project. The US solar market is accelerating because of a growing understanding that PV projects are sound investments. Financing a project with the lowest upfront cost will likely result in a quicker payback of the initial investment. However, financing a project that uses higher quality PV system components provides more certainty a project will generate the electricity it’s projected to produce, while minimizing the overall financial risk of the project. Smart investors are putting their money behind projects that use higher quality PV modules because they provide a higher long-term return on the project with less risk. Tom Hecht is the president of Sales, Marketing & Business Development for SCHOTT Solar PV, Inc.